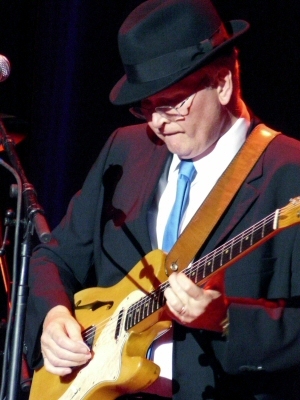 Musician/Producer Roscoe Beck has had a long association with Leonard Cohen beginning with his work on the Recent Songs album in 1979 and continuing on the 1979/1980 tours. In 1986 Roscoe and Jennifer Warnes co-produced their highly acclaimed collection of Leonard Cohen songs: Famous Blue Raincoat. Soon came another collaboration with Leonard on the I�m Your Man CD, and a stint as musical director, assembling the band for Leonard�s 1988 I�m Your Man tour. 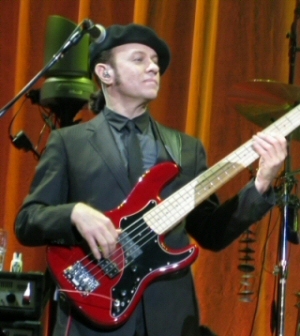 Roscoe has recorded, produced and toured with many others; artists as diverse as Eric Johnson, Robben Ford and the Dixie Chicks (onstage for the infamous 2003 tour that produced the film Shut Up and Sing.) Recently released, Walk On (AusTone Records) is Roscoe�s first recording as a solo artist. Fender Musical Instruments has honored Roscoe with the release of two Roscoe Beck signature basses. Neil Larsen is a composer/keyboard player from Florida that has been successful in several different fields. As a recording artist, he has recorded four solo albums, one of which was nominated for a Grammy. As a session musician, Neil Larsen has played on over 150 albums. He has also written over 60 songs on various albums. 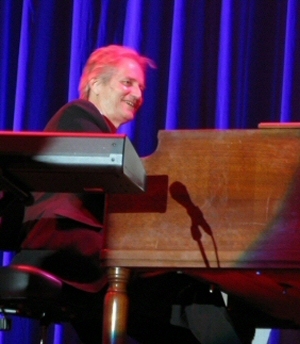 Bob Metzger has appeared in concert with many international artists, including Leonard Cohen in the 1988 and 1993 tour. 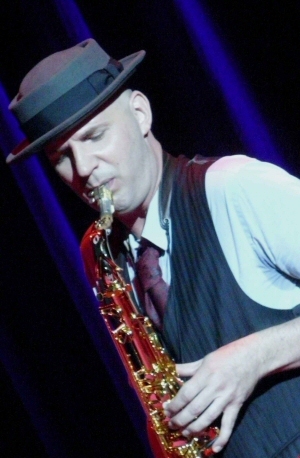 Bob plays six intruments and is featured on recordings by many different artists. He lives in Boston. Bob was also a special guest at our New York Event in 2004. 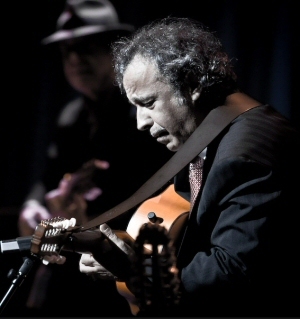 Javier Mas was born in Zaragoza, Spain and began playing the bandurria at the age of nine. At twelve, he was playing drums and the 12 string guitar. Composer and producer, he has worked all over the world, and recorded and toured with many artists and groups. He also performed and was musical director at the Leonard Cohen tribute concerts in 2006 and 2007 in Spain, "Acords amb Leonard Cohen". 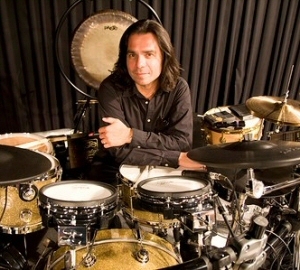 Rafael Gayol is a drummer/percussionist, singer/songwriter, photographer and has acted in a few film and television productions. Born in Mexico City and raised in Los Angeles, his break came with a brief stint in Italy with Robbie Robertson opening the door to many blessings with artists A-ha, Bodeans, Charlie Sexton and Tito Larriva to name only a few. His influences range from film composer John Barry to Brian Eno and Massive Attack. 'Ambient Pop' has been a genre listeners have linked his music to. Growing up in La Verne, California with sons of local orange growers, Dino Soldo was encouraged by his parents to start guitar lessons at age five�which were followed shortly thereafter by years on clarinet. Like his idol, Buster Keaton, Dino Soldo makes everything physical seem effortless. The Keatonesque hat he dons is a trademark part of the image he cuts every time he hits the stage. Dino has been seeking the perfect balance between ensembling with superstars and sharing his own solo artistry with the world. A native Californian, Sharon grew up in Los Angeles, studied classical piano with Ethel Newman, and majored in music at California Institute of the Arts. 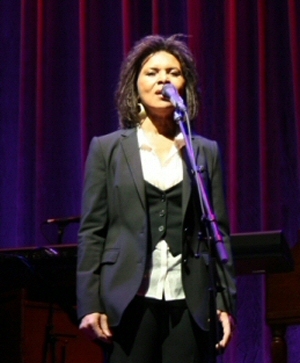 While touring with Cohen in �79 and �80, Sharon and Leonard collaborated for the first time on the song, Summertime, later recorded by both Diana Ross and Roberta Flack. Their collaboration went on to produce such songs as Waiting for the Miracle and Everybody Knows. 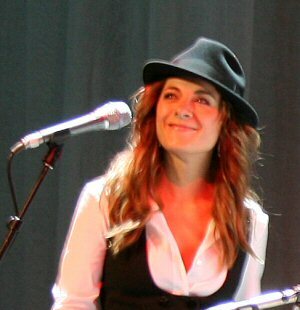 A Grammy award-winner for her writing contribution on Patti LaBelle�s New Attitude, Sharon�s songs have been recorded by such artists as the Pointer Sisters, Aaron Neville, the Temptations, Randy Crawford, Brenda Russell, Ute Lemper, Don Henley, and jazz vocalists Vanessa Rubin and Carl Anderson. Her newest collaborations with Leonard Cohen can be heard on Cohen's recent albums "Dear Heather" and "Ten New Songs"
The Webb Sisters are a musical duo comprised of the siblings Charley and Hattie Webb. They were born in Kent, UK, and had early on decided on a career in music. Hattie played the harp, and Charley the piano. When they were teenagers, the pair began to give recitals all over the country. They met Johnny Pierce, a record producer who invited to Nashville, where they recorded their debut album, A Piece of Mind. After six months, they went to California, selling the album between performances at various recitals. They were soon found and offered a publishing deal, and shortly after, a record deal, and they began to create an album, Daylight Crossing. Two years later they returned to the UK, where they were discovered by Mercury Records, and they recorded Daylight Crossing. Behind the scenes, a great deal of effort goes into the concert production and the sound. Here is a list of the talented and hard-working crew principally responsible for this impeccable presentation.